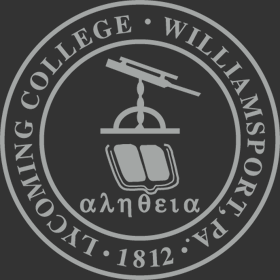 Lycoming College recognizes a student's use of a name other than their legal name. As long as the use of a preferred name is not for the purpose of misrepresentation, the college acknowledges that a preferred name should be used whenever possible in the course of college business and education. Therefore, the college will permit any student who wishes to choose to identify themselves within the college’s information systems with a preferred name in addition to their legal name. It is further understood that the student's preferred name will be used in college communications and reporting, except where the use of the legal name is necessitated by college business or legal requirement. Students at Lycoming College can indicate their preferred name to the College community regardless of whether or not they have legally changed their name. A preferred name is a first name (i.e., given name) that may be chosen to be used instead of legal name. Students may opt to go by a preferred name that is different from their legal name. This name will appear instead of their legal name in the campus directory and in other college records and documents. Some records, such as paychecks or financial aid, that require use of a legal name, will not change to preferred name. However, whenever possible, preferred name will be used. To declare a preferred name, the Preferred Name Request Form must be completed. The form is available online on the Student Life webpage or in the office of the Vice President for Student Life and Dean of Students; the office of the Assistant Dean of Academic Services and Director of the Academic Resource Center; and the office of the Dean of First Year Students and the Associate Dean of Student Success and Academic Services. The completed form is to be sent to the Vice President for Student Life and Dean of Students for approval. The Vice President for Student Life and Dean of Students may request a meeting with the student submitting the request. Inappropriate use of the preferred name policy (including but not limited to avoiding a legal obligation or misrepresentation) may be cause for denying the request. Approved Preferred Name Request forms will be forwarded to the Registrar’s Office in order to update the student’s record. This service may be modified, changed, altered, or rescinded at the discretion of Lycoming College.